Clean and safe water is an essential resource for the environment and a necessity in everyday life throughout the world. Companies that provide effective solutions for wastewater treatment play a vital role in ensuring that clean and safe water returns back to its source. Recently, there has been a great advance in the development of operational efficiency in treatment facilities. At Airtech Vacuum Incorporated, we develop efficient technologies to help companies in the small domestic sewage plants business operate efficiently. 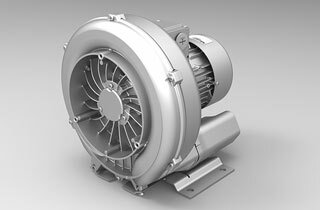 We offer stellar blowers and compressors that are custom designed to meet the needs of different industry applications. Wastewater treatment plants are faced with major challenges that prevent them from providing efficient services to their customers. One of the major challenges that small domestic plants face is environmental pollution that results from the waste produced. Septic tanks need to be emptied at least annually to remove pollution contained in the sewage to protect the environment.waste products in septic tanks need to be processed to make them less toxic before they are dumped in land drains. At Airtech, we offer blowers and compressors that are technologically advanced to allow easy draining of septic tanks in a safe way. Our engineers work with individual wastewater treatment plants to custom engineer equipment that will guarantee total safety during waste draining. Our pumps consume less energy and they are cost effective saving companies on running costs. Why Choose Airtech Vacuum Incorporated For Small Domestic Sewage Plan? At Airtech Vacuum Incorporated, we are the number one full line manufacturer of vacuum and pressure technologies. For more than three decades, we have partnered with leading small domestic plants to offer them custom designed pressure regenerative blowers and claw compressors to meet their industry needs. We are a seasoned company with massive experience in matters pertaining wastewater treatment solutions. We have a team of qualified engineers who work tirelessly to ensure they incorporate the latest technology to create products that are not only practical but also cost-effective. We have ready to ship products that you can order online at any time. Our representatives are eager to answer any questions you may have regarding our products at all times. To purchase products from us, all you have to do is simply place your order from our secure online store. Browse through our amazing inventory of small domestic sewage plants compressor and blower technologies and place your order today.